A Godmother Mother's day card. 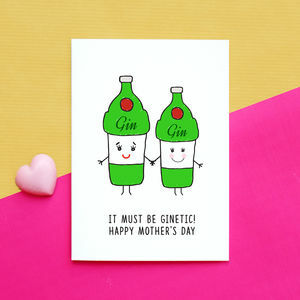 A card especially for your Godmother on Mother's day. 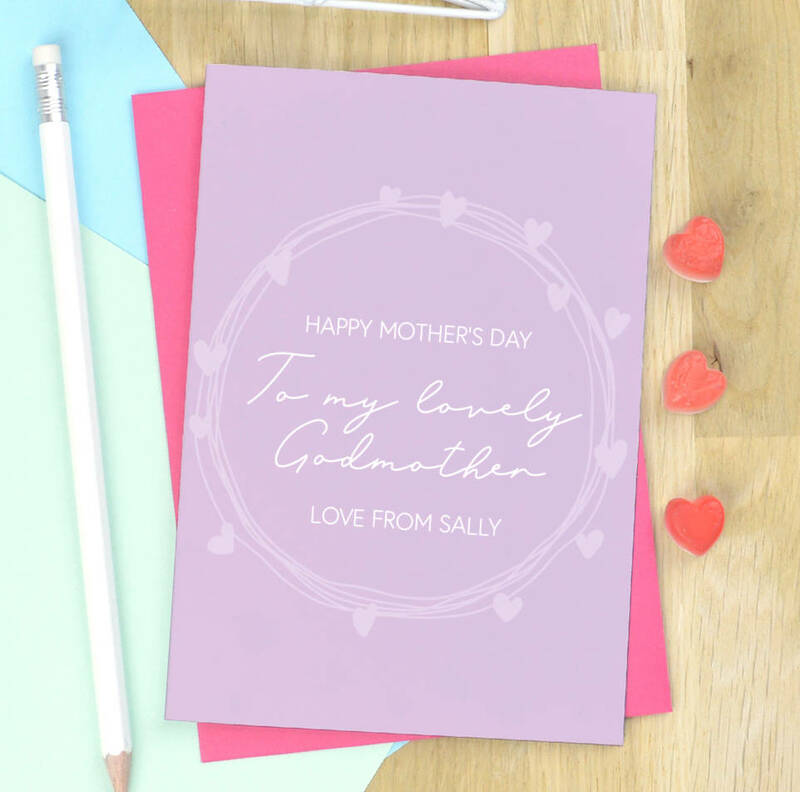 Personalised with the Godchild's name and in a colour of your choice. 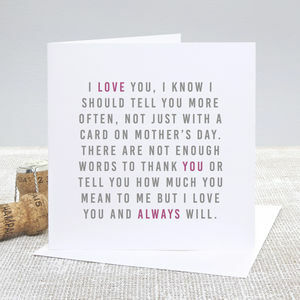 Let your Godmother know how much she means to you this Mother's day. 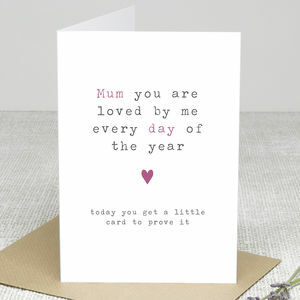 The card has been left blank inside, for you to write your own personal message. 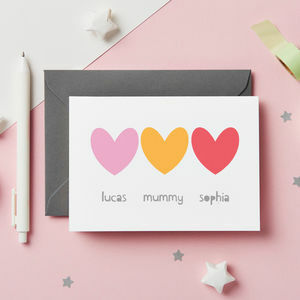 Card is available in a variety of colours. 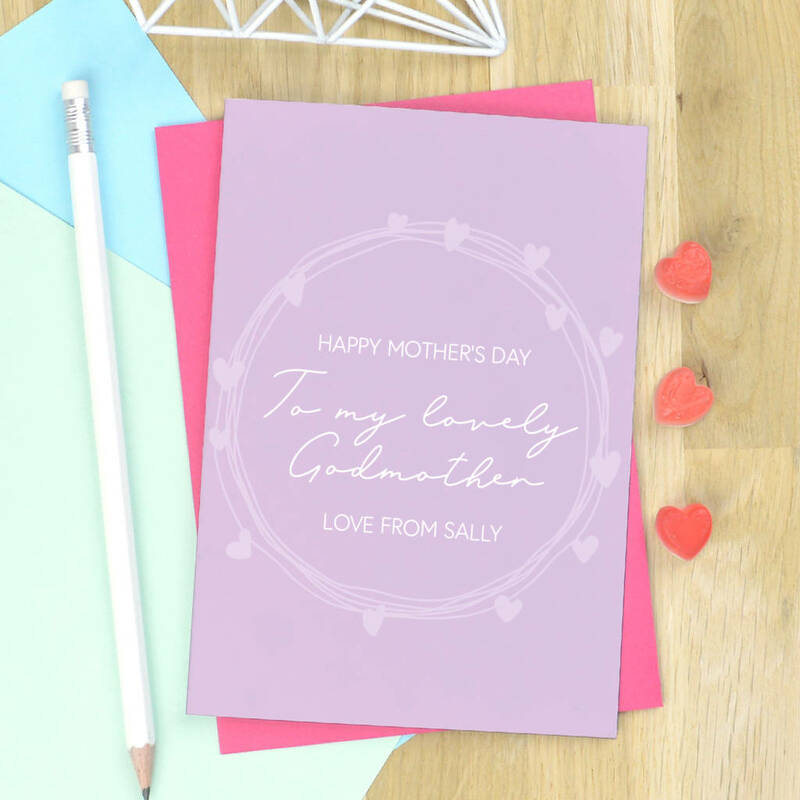 The card is made from 350gsm smooth white card, packaged with a pink envelope in cellophane sleeve. 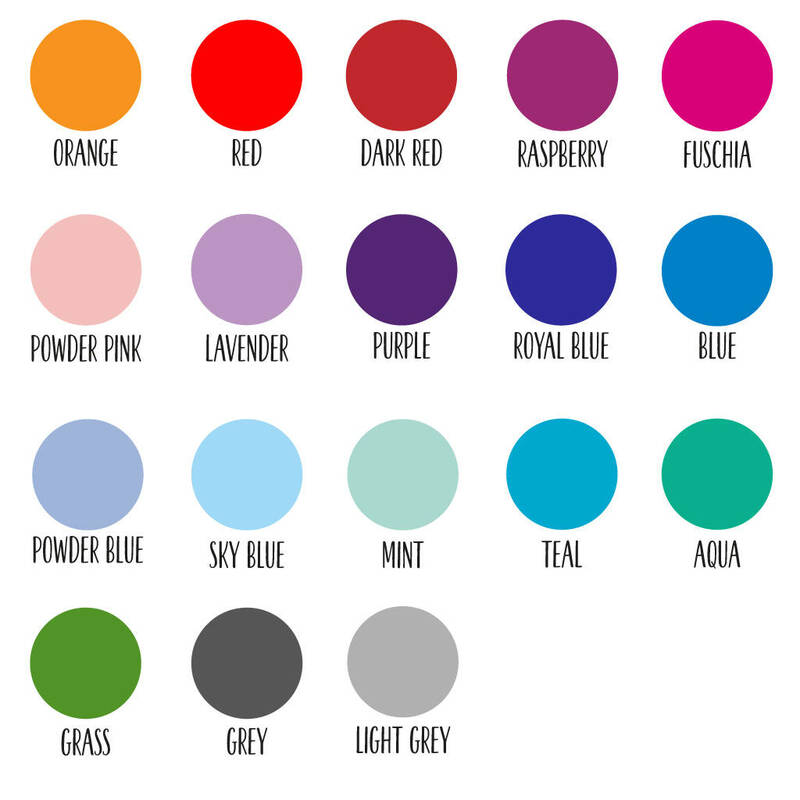 There may be very slight variations in the colours you see on screen, depending on your settings, and the colours of our cards.